Half a church was noted at Toton in Domesday but the ancient chapel, probably a chapel-of-ease to Attenborough St Mary, disappeared long ago, site unknown. The present building on High Road was erected in 1954, the architect said to be Vernon Royle. It is built of honey coloured brick and has a concrete tiled roof. 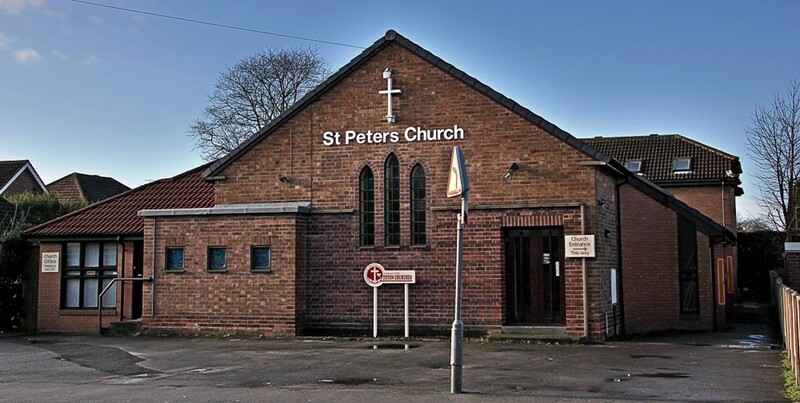 It was originally a daughter church of Attenborough St Mary but in 2001 Toton became a separate, independent parish. It was considerably altered in 1990 when a two-storey centre at the rear was added, comprising a large hall, kitchen, toilets, and childrens’ rooms upstairs. The entrance is now via the connecting hall between the two buildings. Further extensions took place in 1994, overseen by the architect Fred Drabble. He widened the original building on each side and services now take place north to south, with the sanctuary to the north on a raised dais. It is closed off with roller shutters when not in use. and to Geoff Buxton for photographs.